The beginning of this year’s summer has just set the stage of fortunes where real estate sector might not suffer from the scorching heat. The Real Estate Bill has just joined the chorus with the widely claimed economic boom, to cater the long pending need for a desperate real estate boom. As timely conclusion is the major intention of the Bill, people can now wholeheartedly buy their dream home. In this favourable climate like never ever for home buyers to purchase their home, Gurgaon holds something significant under its capable roof. Here renowned developers, Central Park 3 have launched one of their benchmark residential properties, The Room. As Gurgaon is known for its affection towards luxurious homes, The Room is also nothing different. 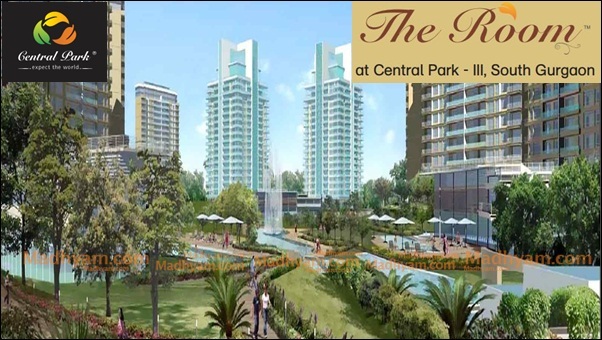 The Room Central Park 3 will welcome you in Gurgaon with 1BHK and 2BHK luxurious suites in the strategic location of Sector 33 on Sohna Road. 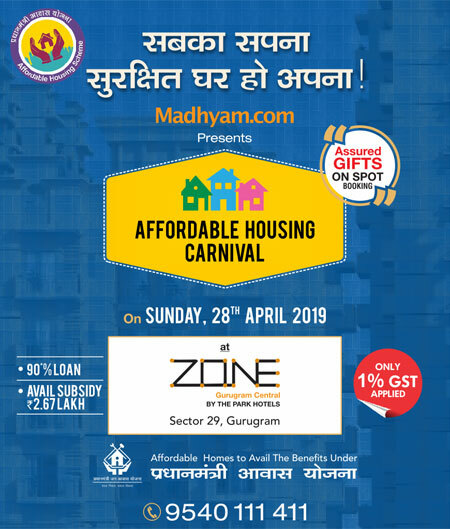 It is in the close vicinity of Gurgaon Expressway (NH-8) and the upcoming Kundli-Manesar- Palwal Expressway (KMP Expressway) so as to guarantee on no issues on connectivity. The project also holds a plethora of jaw dropping amenities to go hung ho in Gurgaon. Clubhouse, kids play area, indoor games, movie theatre, barbeque pits, banquet hall, guest house, multi cuisine restaurant, convenience stores, coffee cafes, bar lounge, business centers and plenty more will make The Room unique in its luxurious stature. This is a home where luxury is going to surprise you like no one else had in your lifetime. One of the surprise elements waiting at The Room is the mammoth fitness and wellness features. This will shower the status of a ‘healthy home’ for this Central Park 3 venture. There are over 50 wellness features like walking track, cycling track, gymnasium, yoga, all weather pool, mud baths, sun baths, body massages, Ayurveda centre, therapies, besides many sports facilities to make you stay healthier. Being anchored to the prime location of Sector 33, Sohna Road has also poured a lot of benefits to opt this dream home. The beautiful Aravalli Hills occupy the backdrop of The Room and fill positive vibes in your life. Occupants are getting a large number of MNC’s, hospitals, school, banks, malls and all other social facilities by living at The Room. Good road networks, complimented by upcoming flyovers will connect you to all parts of Delhi-NCR much easily. So get the perfect luxurious haven of Gurgaon, Central Park 3 The Room and make life extravagant!